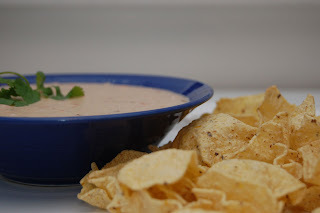 If you're looking for a vegan "cheese" dip or simply looking for a healthier alternative to that oh so good, but oh so bad for the waste line indulgence that cheese dip is, you may want to give one of these two Cheeseless Quesos a try! The first queso comes from Alicia from Vegan Epicurean.The second version is another version of the original. Combine the cashews, oatmeal, water, onion flakes, turmeric, and garlic in your blender. Puree until the mixture is smooth. 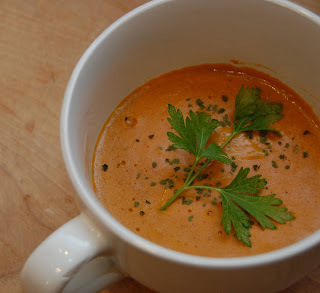 Pour the mixture into a heavy bottom saucepan and cook over low heat, stirring often to keep it from sticking. Add the canned diced tomatoes with their liquid (or salsa if using), paprika hot crushed peppers, chili powder and cayenne and stir to combine. Taste the mixture and add salt and pepper, as you desire. Cook the mixture (continuing to stir) until it is hot and the texture you want. You can add more liquid if it gets too thick. I had some chipotle powder and flakes that I used to add in some heat. I didn't have onion flakes so I just used finely diced white onion. I also had some fire roasted tomato flakes that I added. Last tweak, I added cumin powder. I don't think I originally pureed the cashews enough, so I put everything back into the blender to puree again. So it was super smooth and creamy. This was an awesome recipe. I didn't really know what to expect, but I am really glad that I found it and tried it. It's a great alternative to a "yellow" queso. No, it doesn't taste completely like cheese, but it's a super healthy alternative that's a definite keeper! Hubby even took this to his office (all men) and left with a perfectly empty bowl. Combine the cashews, oatmeal, water, and garlic in your blender. Puree until the mixture is smooth. Pour the mixture into a heavy bottom saucepan, add onions, Rotel, and remaining spices and cook over low heat, stirring often to keep it from sticking. Taste the mixture and add salt and pepper, as you desire. Cook the mixture (continuing to stir) until it is hot and the texture you want. You can add more liquid if it gets too thick. The result is a "white" version of the original queso. It was absolutely fabulous. I promise you that you could serve this to any cheese dip addict and they would be very content digging in! Hi Heather! 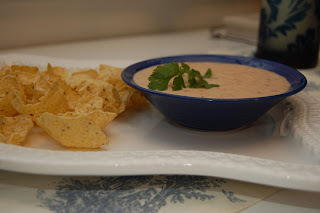 Thanks so much for posting this-- I officially need to make some cheeseless queso! Would you say that there is a difference in the way they taste? And if so, did you prefer the taste of one over the other? I like the white version of the cheeze! Can't say I would have thought it of, but it is great idea. I will trying it your way next time. Thanks for sharing. Alicia I can't wait to hear how you like the white version. I can't thank you enough for posting your recipe. I made it only b/c I completely trusted you!! It's fun trying new recipes and coming up with new ones out of those. I hope we can keep building on more!! I love to play with recipes too! Thank you for taking this one in a direction that I hadn't thought of. We make a good team. I will probably make your version later next week when the hubby gets back from OK. I like to get his opinion on things.